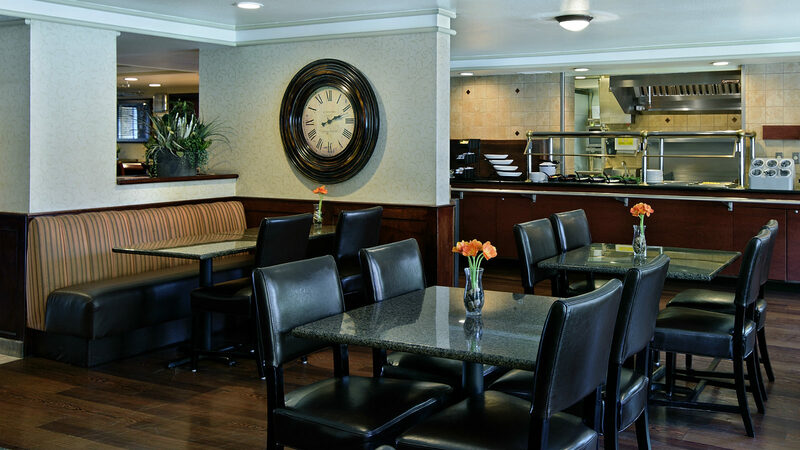 Looking for great dining options during your stay? The Oxford Suites Lancaster is equipped to handle your dining needs and is conveniently located. 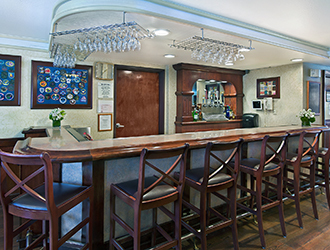 Our complimentary evening reception is offered Monday through Saturday 5:30 pm to 9:30 pm and includes your choice of wine, beer or soft drinks. Appetizers are served 5:30 pm to 7:30 pm. Each guest will receive two drink tickets, with additional drinks available for purchase at the lounge.